Tomorrow is our second twin flame anniversary! This morning, I awoke with great clarity. 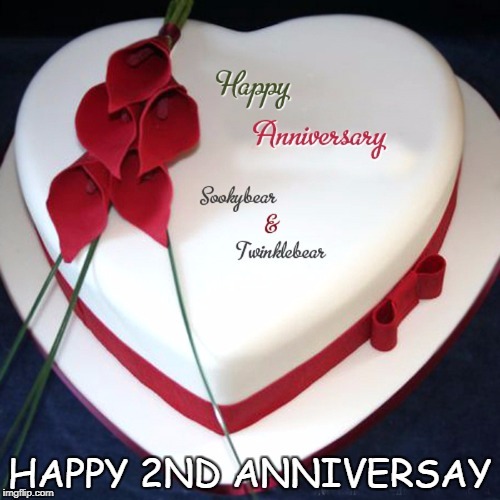 Tomorrow is Twinklebear and my second anniversary as Twin Flames and Podmates. That is, it will be our “second anniversary” in this life. Allow me to explain. We don’t know how many true anniversaries we had in past lives, for we are reincarnated twin flames, spouses and true lovers. We have latent memories and lucid dreams from past lives, which lead us to know that we date back to perhaps 1200 A.D. as a couple. Yes, I woke up with great clarity this morning, with the full and amazing knowledge regarding how very much I love, need and want my Twinklebear. I love you Twinklebear, truly forever and a day. The world has moved on since Twinklebear and I have been together, since Genghis Khan’s time in the 1200s. As big as the world has gotten in 2017, it is not big enough to hold all of the love I have for my Twinlklebear. She is my love of this life, as well as the love of all of my soul’s lives. This is the knowledge I have, with great clarity, today. We will have had two full years tomorrow, that for each and every successive day, more and more clarity has graced our meager mortal consciousnesses—mortal consciousnesses that are susceptible to all of the human weaknesses and failings of beings who lag behind our eternal consciousnesses, our very old souls. And our eternal souls know all. We are old souls who have loved each other since the beginning of time. Twinklebear, my love, as a mortal I know this. Today, two years after we bonded and just began to realize what we are—crazy in love and bound to be together—I could not love you more. I could not need you more, and I could not want you more. Know this, the love of my life AC Twinklebear Lesley Maclean: I want nothing more than to be with you, to love you, to take care of you. You are my Twin Flame, you are MY LIFE. I love you forever and a day, plus MORE! 12 12 12 HAPPY ANNIVERSARY, my love!